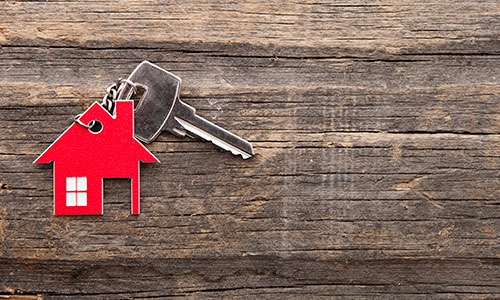 We are in the process of refinancing our mortgage – again. We bought our first home in 2005. Due mostly to the expense and uncertainly of kids, we took out a thirty year mortgage. In 2014, we moved to a different, larger house with a different, larger mortgage. My mom’s estate was recently settled, and we decided to pay down the principal refi the 30 year mortgage (which has 27 years remaining) into a fifteen year mortgage at roughly the same cost (about $15/month more). While the optimal choice for us would have been to start with a 15 year mortgage, this really wasn’t feasible at the time. We wanted to be able to fund retirement plans, 529 plans for the kids, pay for day care (a big cost, especially before the kids reached school age), have a sufficient emergency fund, and have the flexibility to deal with other costs that popped up along the way. One thing we did do over the years is refinance. In the nine years that we owned the first home, we refinanced it twice. In each case, the break-even point was between eighteen and twenty-two months. After each refi, we continued to pay the amount of the original mortgage, but with additional money going to principal (shortening the length of the loan). A key part of understanding the break-even is understanding what portion of closing costs are actual incremental costs and which are not. Pre-paying the escrow is money that you pay to ensure that there is a enough money in your escrow account to pay for homeowner’s insurance and property taxes. Why is this not an additional cost? Because you’re spending money up front to fund the escrow on the new mortgage, but you’ll be getting a check for the amount that is in the escrow account for your old mortgage (this may take a month or two, depending on your state and your lender). Regardless of whether you kept the old mortgage or refinanced, you would have had to had sufficient funds in the escrow account to cover the taxes and insurance when they are due. Once the escrow on the old mortgage is refunded, it’s a wash.
You’ll also have some pre-paid interest. This accounts for the interest in the partial month between your closing date and the first of the month. If you close on the 30th, this cost will be minimal. If you close on the second, it would be almost an entire month’s worth of interest. But this is interest you would have paid regardless if you refinanced or not. It’s important to note, though, that if you close on the 2nd, you’re skipping an entire month’s worth of principal payments, pushing your payoff date nearly a month past what it would be if you had closed on the 30th. 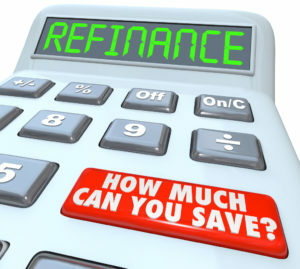 What remains are the actual incremental costs to refinance. In my specific case, these come to around $1500. To illustrate the break-even calculation, let’s assuming you are saving 3/4 of a percent and have a mortgage balance of $150,000. Here’s the tricky part. While mortgage interest is tax deductible, the closing costs generally aren’t. Let’s assume your combined federal and state income tax rate is 25% (note: you’ll want to use your marginal rates, rather than your effective rates, since you’re calculating an incremental effect). This means the actual cash savings from the reduced interest is ($112.50 * 0.75) = $84.375. While this is a reasonably accurate quick calculation, it will be slightly off, because you’re saving slightly less in interest every month. You’ll save $112.50 ($84.375 after adjusting for impact of taxes), in month one, but you’ll save a dollar or two less in each additional months. So to be safe, just round-up and add another month to the break-even length, bringing the break-even to 19 months. Some people have a rule to not refi within X years of taking out the mortgage or doing a previous refi. This is not a good determiner of whether the time is right to do a refi. If you close on a mortgage today and rates drop a full point tomorrow, you absolutely should refi. You can’t change the fact that you had bad luck in the past – but you can change your future rate. The key thing to look at is how many months it will take to break even on the refi costs. When buying a house, some people will approach the lender and ask what amount they can be pre-approved for. My advice is instead to settle on a price point and get pre-approved for that amount, plus a small cushion. If you ask the lender to set the amount, odds are good that it will be higher than the price point you would have chosen, and you may end up purchasing a more expensive house than you really need. A lender will often allow – or even encourage – you to roll the closing costs into the mortgage amount. If you have the ability to pay these amounts up front, it can save you quite a bit of money in interest. We’ve never rolled the closing costs into a mortgage or refi. Shop around. 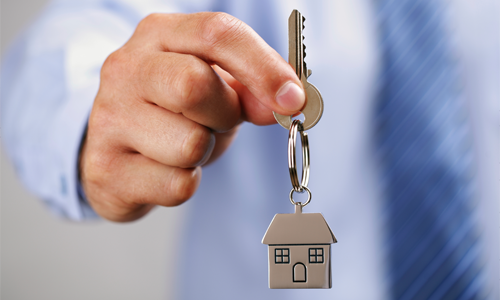 You may be able to find slight differences in rates between lenders. Watch for coupons. We routinely get coupons in the mail for $100 off closing costs. When we knew the a refi would be imminent, I made sure to save one of the coupons. In comparison to the mortgage, $100 is a very small amount – but it’s still $100. I’ve been scouring the market for a property. After years of going nowhere paying rent, I decided that my money could be put to better use paying down an investment than making somebody else rich. I’m not sure why I paid rent for so many years – perhaps it was because we never felt sure about where we wanted to lay down roots. Regardless, it’s better to own the asset and enjoy the benefits of ownership than to have nothing to show for all your hard work. This got me thinking: How do you find the perfect mortgage for your needs? We’re living in difficult times. The Federal Reserve Bank – the Fed – is increasing interest rates, and this means the cost of credit is going up. This has a profound effect on long-term debt, especially if you do not to lock in a low rate with your mortgage broker, bank, or financial institution. That’s the short-term perspective, but with increasing global uncertainty it’s never a sure bet which way interest rates will go over 10, 20 or 30 years. Consider the people who locked in their mortgages at fixed rates 10, or 15 years ago, and then the Federal Funds Rate was eroded away to historic lows since the 2008 global financial crisis. Nonetheless, this highly charged topic requires careful thought, planning and decision-making. 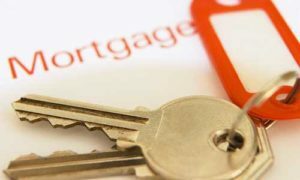 What are the benefits of a variable mortgage versus a fixed mortgage? Let’s say you are considering purchasing a property worth $300,000, and you’re looking to put down 20% ($60,000) and take out a variable mortgage. That leaves you with $240,000 to pay back over the lifetime of your loan. A variable rate mortgage, often known as a floating rate mortgage, means that the interest rate on that home loan will fluctuate according to what the federal funds rate is doing. More specifically, it moves in tandem with the prime interest rate. This is true in all countries that offer variable mortgages and/or fixed mortgages. What will the Central Bank Do? If you have an inkling as to how the Fed, the Bank of England, the Bank of Canada, or the European Central Bank is going to move with respect to interest rates, you may be inclined to lock in a fixed interest rate or a variable interest rate. In the US now, the trend appears to be moving in favor of increasing interest rates, making a fixed mortgage more attractive. However, nothing is ironclad. Floating mortgages can go in any direction. People who opt for them are hoping that the interest rate that have locked in will be better than the interest rate by the time they are finished paying their mortgage. Truth is: nobody knows which way interest rates are going to go over the long-term. A fixed mortgage by contrast is fixed at the current rate. If you like certainty, and you’re not interested in the current state of the economy, a fixed mortgage is something that you can bank on not to change. People in many countries around the world prefer fixed-rate mortgages, since they provide that certainty that is so absent in the broader economy. Of course, there are alternative options available to homeowners in the form of hybrid mortgages which allow a specific portion of the mortgage to be fixed, and a specific portion to be variable. Think of it as a compromise solution which gives you the best, or the worst, of both worlds. When you’re evaluating the pros and cons of variable and fixed/closed mortgages , it’s important to understand all options available to you based on your current financial situation. A closed mortgage and a mixed mortgage are also available. These refer to your ability to repay your mortgage prior to full duration of the mortgage term. If you have excess funds available, or you will be coming into excess funds, you may wish to repay your mortgage ahead of time, to save on interest-related payments. Be advised that if you have a closed mortgage, you will have to make payments until the final payment is due on your term. Occasionally, banks and financial institutions will permit prepayments, but this is at the discretion of your mortgage provider. By conducting the necessary research, you can avoid a lot of headaches, and possible financial ruin. Don’t get sucked into the wrong mortgage, because you may pay dearly for it over the long-term. If you are struggling with the interest rates and payments on your current loan, are looking to refinance, and are a veteran, active service member, you might want to consider looking into the loan options available through the Veteran’s Administration (VA). If you are a spouse, or surviving spouse, of a veteran or service member, you could also qualify for a loan guaranteed by the VA. The biggest advantages of refinancing through the VA is that you can refinance up to 100-percent of your home’s value, even if you don’t have equity, and you don’t have to pay for mortgage insurance. There are three options available to eligible homeowners: The Interest Rate Reduction Refinance Loan (IRRL), Cash-Out Refinancing, and converting a Conventional Loan to a VA Loan. This option is available to borrowers who already have an existing VA home loan. The IRRRL allows you to reduce your interest rate to reduce the monthly payments on your loan. You can also use the IRRRL to shorten the term of your loan, so that you can pay it off faster. The advantage to the IRRRL is that the VA does not require a credit check or appraisal for you to qualify for the loan. 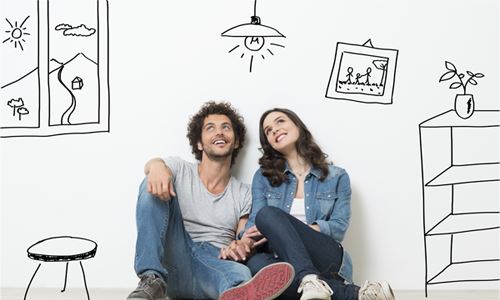 It’s also possible to get the loan without having to pay out-of-pocket for closing costs and other fees. However, the fees for the IRRL are generally lower than they would be for a conventional loan. The disadvantage to the IRRRL is that you can’t use an IRRRL for a cash-out refinance. Also, you might end up paying more in interest if you opt to shorten the term of your loan, or avoid closing costs. You also cannot use the IRRRL to pay off a second mortgage on your home, without first getting approval from the second lender. If you have an existing VA loan and do not need a cash-out refinance, the IRRRL could be the option for you. This option is available to borrowers who already have an existing VA home loan and want to borrow against the equity in their homes. You can use the cash-out refinancing program to get money to put back into your home, and you can also use it if you have a double mortgage to consolidate them into a single payment, and possibly at a lower interest rate. Just like the IRRRL, you can refinance up to 100 percent of your home’s value, but you will need to pass a credit check and have an appraisal of the property. However, you won’t have to make a down payment or pay for private mortgage insurance, and there will be limits on the amount that you’ll have to pay in closing costs. If you have an existing VA loan, a strong credit history, and need cash-back, a Cash-out Refinance could be the option for you. The process of converting a non-VA loan into a VA loan is similar to a cash-out refinance. The difference is that you don’t already have a VA loan, so you also have to make sure you meet the VA’s eligibility requirements. Once you meet the requirements, you’ll have the same advantages and disadvantages as someone doing a cash-out refinance on an existing VA Loan. VA loans and IRRRL loans are both handled by private lenders like Lowvarates.com, who might also offer other refinance options the would allow you to use the equity in your home for a specific purpose, such as home improvement or debt consolidation. If you have never applied for a VA loan before, you will also need to gather and submit the necessary documentation to get a Certificate of eligibility from the VA, which you will need to present to the lender. Once you have proven your eligibility, the process of applying for the loan is similar to that of a conventional loan – the lender will do a credit check, appraise your home, and determine how much they can lend you. The only exception to this process in the IRRRL, for which there is no credit check or appraisal. As you can see, there are a lot of advantages to refinancing through the VA, especially if you already have a VA loan. This is because the VA guarantees the loan, which gives both lenders and borrowers peace of mind. Because of that guarantee, you don’t need to make a down payment, you’ll have significantly lower fees and closing costs, and you can get some loans without a credit check. If you are a veteran, active service member, or eligible spouse or widow(er), VA refinancing could be the best option for you.